A Walt Disney World vacation is the perfect holiday gift for loved ones to create memories that last a lifetime. 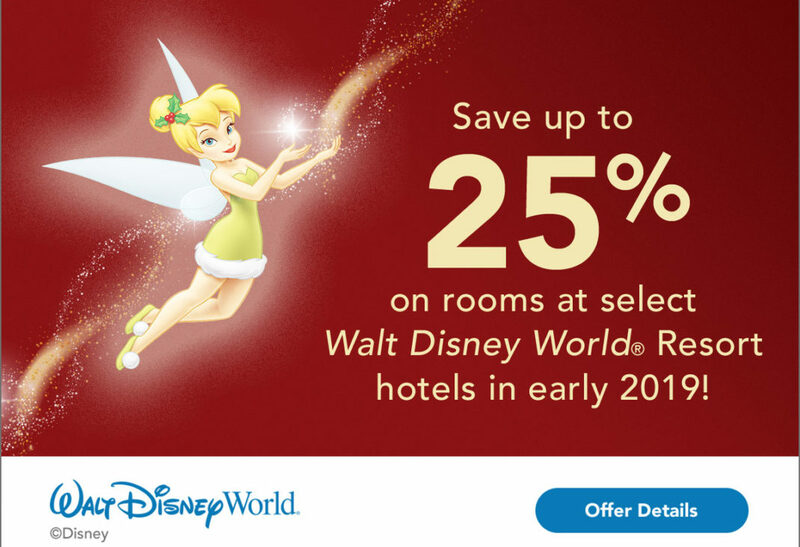 Cross another holiday present off your list and save up to 25% on rooms at select Disney Resort hotels for stays most nights January 1 through April 27, 2019. Room discount based on resort category. Ask about turning this offer into a package.